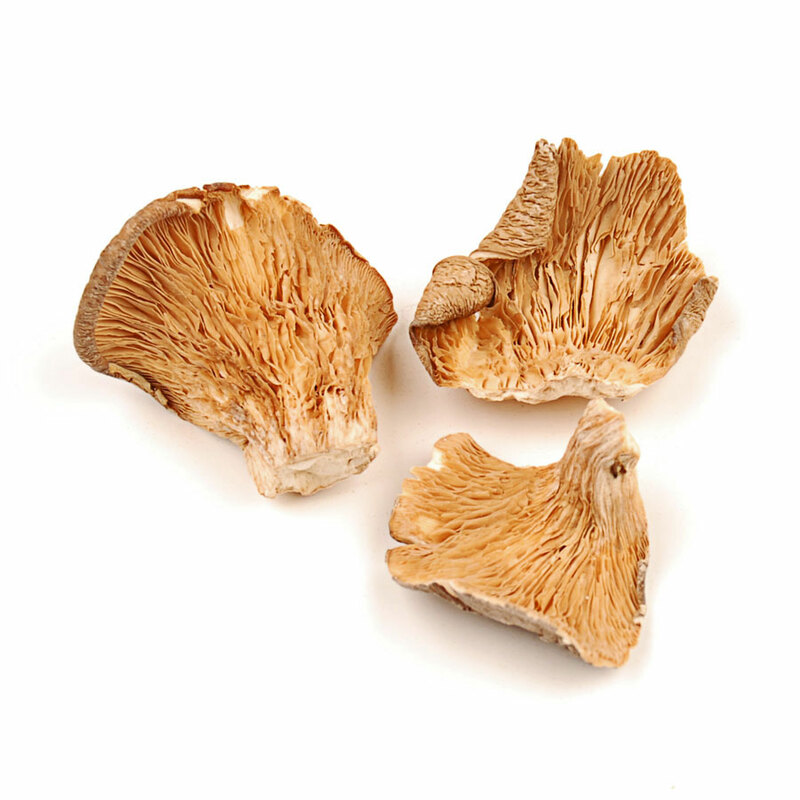 Forest Blend Mushrooms are formulated to compliment fish and light meats like chicken or pork. Infuse concentrated mushroom flavor into sauces, soups and chowders. Forest Blend makes a flavorful addition to pasta and rice dishes, casseroles and virtually any oriental recipe or stir-fry. 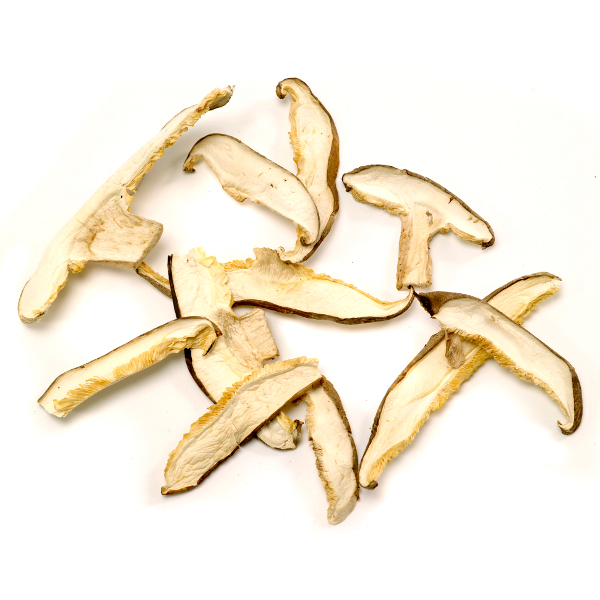 Forest Blend is a gourmet combination of Shiitake, Porcini, Oyster and Bolete mushrooms. Dried mushrooms have several advantages over fresh: they are conveniently reconstituted and ready-to-go in minutes, and are easily used in place of fresh mushrooms in most recipes. Fewer mushrooms are needed because the flavor is more concentrated, which makes them cost effective. 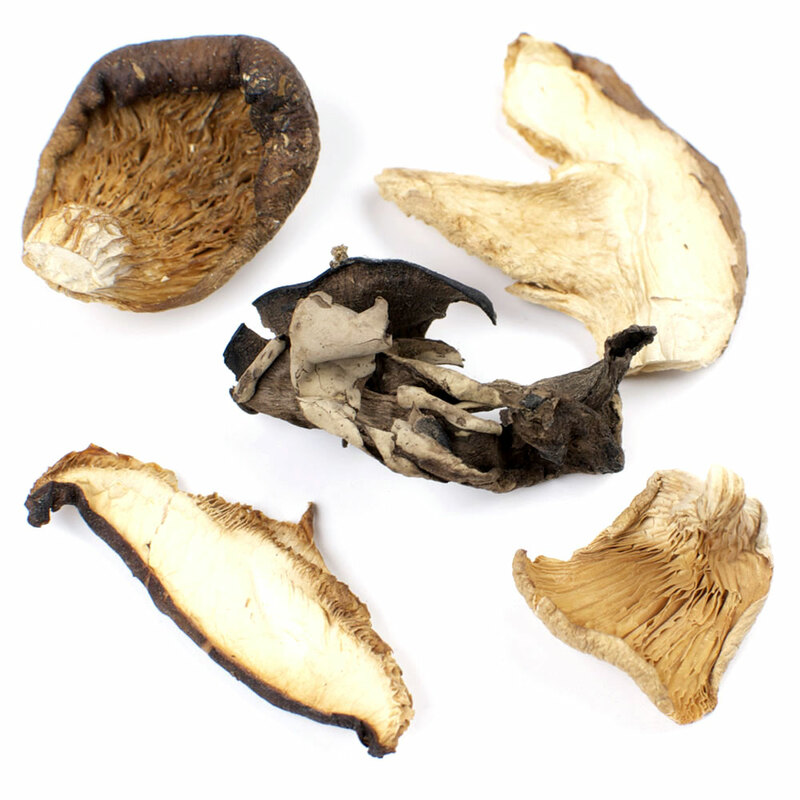 Most importantly, some wild mushroom varieties are not easily harvested, making them extremely perishable. Drying gives them a longer shelf life and makes them more readily available year-round. Dried mushrooms can last many months without refrigeration and for a year, if frozen.